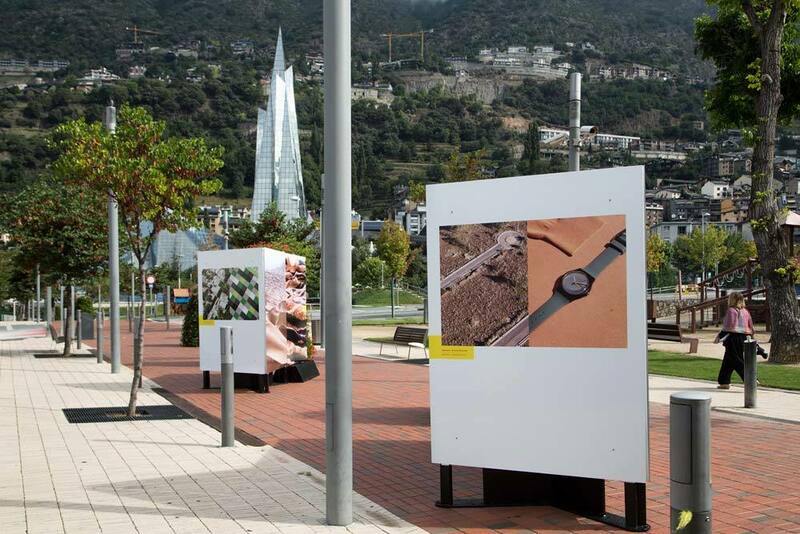 Eleven works from my Aerial Fashion series are currently displayed as 3x2m prints in an open air exhibition at Passeig de l'Arnaldeta (Escaldes-Engordany) as part of the Andorra Land Art Biennial. The Biennial opened on 10 September 2015, curated by Pere Moles, featuring installations by leading exponents of Land Art including Martin Hill / Philippa Jones, Stuart Williams and David Vanorbeek. 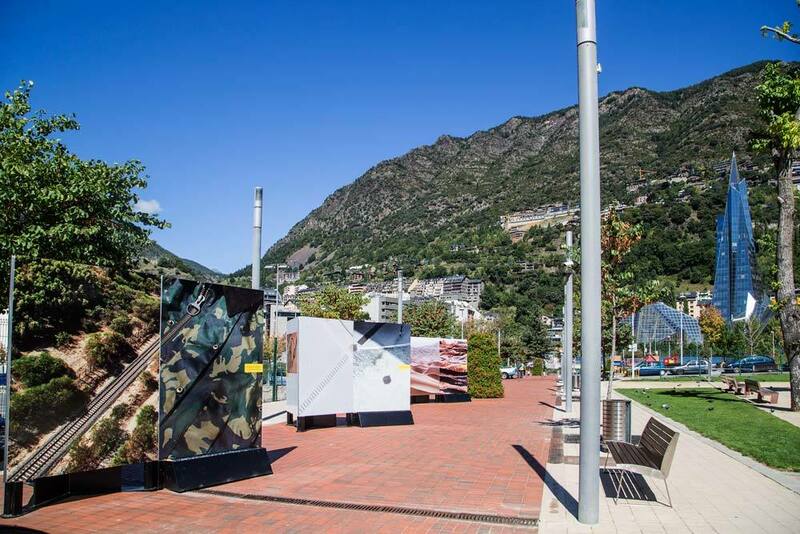 About twenty-five artists from around ten countries are participating in the Biennial, which is organised by the Reunio de Papaia and supported by the Andorran Government. 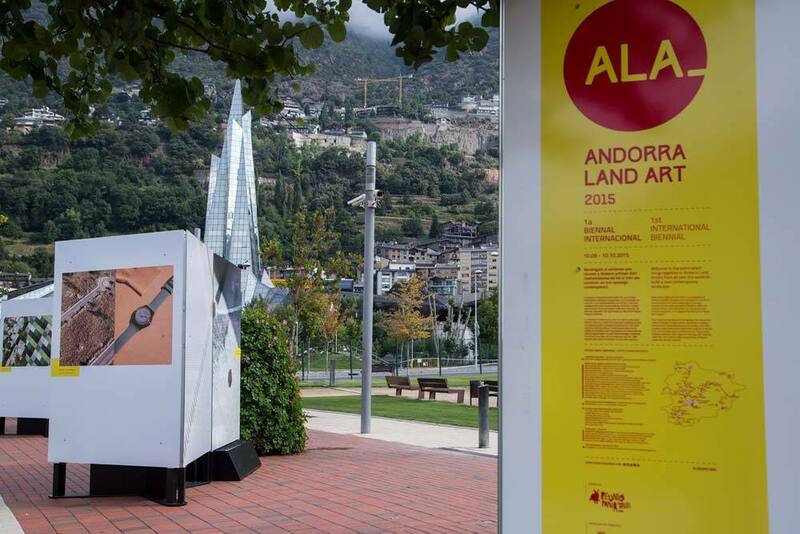 Unfortunately I wasn't able to attend the festival inauguration as I was busy directing an internet film in London, but Andorra is well worth a visit and can be reached by road from either France of Spain, flying to Toulouse or Barcelona.